Shopping for a mortgage loan? We'll be glad to answer your questions about our many mortgage solutions! Call us at (608) 372-9222. Ready to begin? Apply Online Now. 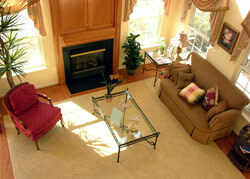 "Closing Costs" are the fees which cover the various services involved in the sale of a house. Buyers and sellers almost always negotiate to decide how to share these costs. As you'll see below, many of the closing costs result from getting your mortgage. Since Affordable Mortgage Financing, LLC. has extensive experience with mortgages and closings, we often explain the details of closing costs. Buyers will receive a "Loan Estimate" of closing costs at the time the loan application is submitted to the lender. This cost estimate is based on our past experience. It's important to note that while our Loan Estimate's are very precise, we cannot always estimate costs to the penny. We explain Loan Estimate's with buyers almost every day, so we are happy to answer your questions about closing costs. We've provided a general list of these costs below, but we'll give you a specific list of closing costs, with amounts, soon after you complete your loan application. At Affordable Mortgage Financing, LLC., we don't believe in surprises, so if your costs change, we'll be sure to let you know immediately. Affordable Mortgage Financing, LLC. can help you understand closing costs. Give us a call: (608) 372-9222.